Three little words – je t'aime – what could possibly go wrong? Gina has lost her perfect job, her boyfriend and her favourite aunt all within the space of a few months. So when she inherits her aunt's ramshackle French house, Gina decides to pack her bags for the Bordeaux countryside – swapping English weather for blue skies, sunshine, great wine and a fresh start. Fans of Katie Fforde, Carole Matthews, Victoria Connelly or Erica James â€“ and everyone who enjoyed Nick Alexanderâ€™s The French House â€“ will love Fiona Valpy. After a tragedy, Hannah Clitheroe is hiding away from the world. Kernow House in Cornwall, inherited from her grandmother, seems like the perfect bolt-hole. Jack Widow, elite undercover NCIS agent, is out for answers in his first explosive appearance. When 18-year-old Romy Morgan saves her celebrity crush from drowning, she’s offered a job as his personal assistant and chemistry sparks between her and Logan. But the movie set is a world of illusion, where appearances don’t match reality, and when she discovers a horrible secret with the power to destroy Logan, Romy must choose between love and revenge. An enchanting love story with all the feels, plus a good twist of humour! This time, we have 15 brand new stories from today's best in zombie fiction for you to dig your teeth into! Check out these gruesome and action-packed stories inside Undead Worlds 2! Grab your copy today! You only live once: If you’re lucky. My life was a drudge. Long hours, soul-destroying work, barely keeping up with the mortgage on our “dream” home. The home we bought to raise a family. By the time we could afford kids, we’d be too old. Modern life: Chasing carrots with strings attached. Magic comes to Dragon School. Can it be trusted? With First Flight behind her, sixteen-year-old Amel believes she can finally settle into her studies and learn to be a Dragon Rider. I moved away to my Nan's house after my parents happily kicked me out. So here I am, back at the one place I had hoped to never return, where I'll attend court as a witness. Everybody knows Pirate Camp is for BABIES. So imagine how unkeel it was when my dad said I was going to Pirate Camp for half term! Join everyone's favourite Loser on this hilarious holiday adventure! After taking out a covert facility run by the Commission, a deep-state syndicate, Nathan Stone has made powerful enemies. He's a black-ops asset—and he's gone rogue. 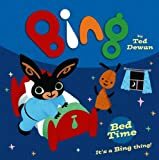 The second in an exciting new relaunch of Ted Dewan's Bing books – resized and beautifully produced for the next generation of toddlers – paving the way for Bing's TV debut in 2014.